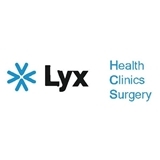 Urology Specialist Group / LYX HEALTH (Miami Lakes) - Book Appointment Online! Our friendly receptionists and team of specialists will assist you with any appointments, surgical arrangements, and referrals, insurance or billing needs you may have. Our compassionate nurses and technicians make your stay, informed and relaxed, while catering to your needs through any procedure that you may need. Our efficient full service urology center has 16 members that will quickly see you through to the best medical outcome that Ivy League medicine can offer.